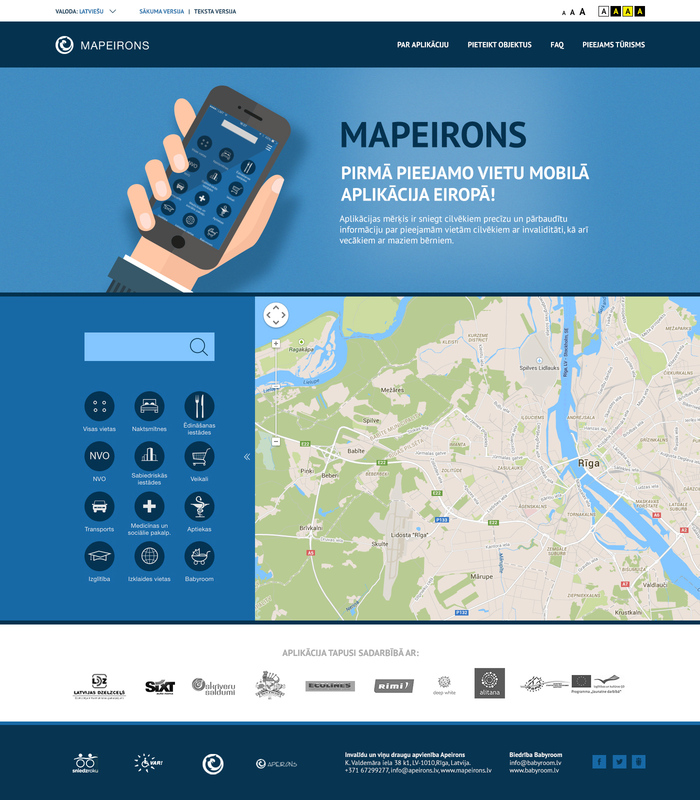 For Apeirons, an organisation for people with disabilities and their friends, BRIGHT has designed and programmed a new homepage for the accessibility application Mapeirons. The map provides information about the public sites accessible to people with disabilities as well as elderly citizens and young children. The map is user-friendly and features an interactive map with public sites. Users can update the map with new sites that are accessible to people with disabilities and parents with strollers. Additionally, BRIGHT has designed a blog section ‘Accessible tourism’ where members of Apeirons share their experience about travelling in Latvia. The homepage is responsive and readily accessible on mobile phones, desk and portable PCs.